Home » #LadiesOfLondon » #LadiesOfLondon Star Julie Montagu Wants To Put The Drama With Annabelle Neilson In The Past! #LadiesOfLondon Star Julie Montagu Wants To Put The Drama With Annabelle Neilson In The Past! 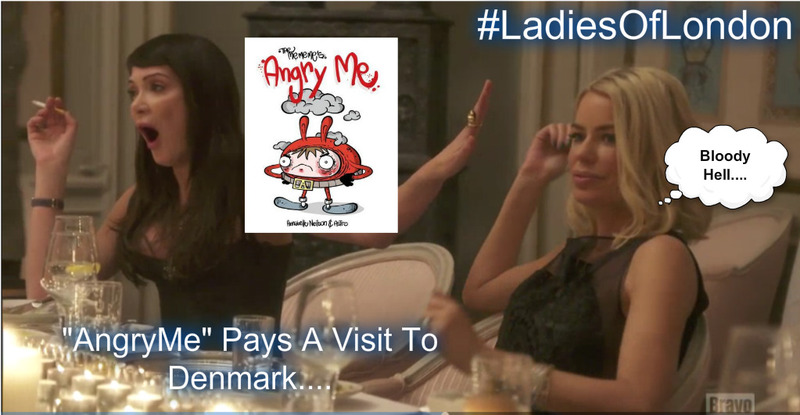 Julie Montagu and Caroline Stanbury have been bombarded in the last week with angry tweets from Ladies Of London co-star Annabelle Neilson. Annabelle is angry about comments she said were made by Stanbury. The volatile model is dividing fans of the show into camps with her negative comments. After tonight’s show Julie Montagu took to her bravotv.com blog to comment on the situation. Bravotv.com: How did your family take the JUB shoot? Bravotv.com: Considering your revealing JUB shoot and success, how did it feel to hear Caroline Stanbury say that she so strongly respects you as a business woman and that you found your “balls”? JM: Caroline Stanbury knows that I struggle with self-esteem and so hearing her say that was nice to the ears. I think in life, when anyone says they respect you, it feels good on the inside. When Caroline kept saying I finally have balls, it sort of made me laugh because all I could think of were my JUB (Julie’s Unbelievable Balls) – and maybe she’s right… JULIE’S finally got some UNBELIEVABLE BALLS! Bravotv.com: As some who also has an estate, what did you think of Caroline Fleming’s castle? Bravotv.com: What were you thinking about your friendship with Annabelle – considering Caroline’s advice and the discussion at dinner? JM: At this time, I do not want to discuss the drama or my friendship with Annabelle. I want to focus on the positive instead. I teach in my yoga classes ‘to let go of any resentment, grievance, shame, guilt, or pain from the past because if we don’t our entire body-mind suffers.’ And I must also follow this, too, in order to stay positive, stay in the present and keep moving forwards, not backwards. Bravotv.com: What did you think of Marissa and Caroline’s surprising reconciliation? JM: I was shocked! I didn’t even know that conversation had taken place between Caroline and Marissa and was quite surprised to be honest! I was certain something else was going to go down between them in Denmark…but I was clearly wrong! But good for them for putting it behind them and making the weekend between them drama-free. 1 Comment on #LadiesOfLondon Star Julie Montagu Wants To Put The Drama With Annabelle Neilson In The Past!